I want to talk about something I’ve never discussed before: my Jewish identity. I never felt like I had a Jewish identity growing up. My Mom is the Jewish one (my Dad is Christian) and, whereas I was very much aware that I was “Jewish” and we practiced some of the traditions, such as Hanukkah, I never understood what being Jewish meant. None of my friends were Jewish and we weren’t part of the community, so it wasn’t a cultural identity for me. Additionally, the first time I had ever been to a synagogue was for a classmate’s Bar Mitzvah when I was 12 years old, so it wasn’t a religious identity either. That leaves ethnic identity. My Mom spoke regularly about the anti-semitism she experienced growing up. I also knew that there was a Jewish state and that her mother lived there. Therefore, Jewishness felt more like an ethnic identity, but one that was very much integrated into Western Christian culture. I never felt uniquely Jewish; I felt like a quintessential American with a melting pot of different ethnic roots. It wasn’t until I went to college that I became more curious about my Jewishness. My roommate was the first practicing Jew I met. She had a Bot Mitzvah and went to Hillel. She told me about Birthright. A free trip to Israel, I thought. Is this meant for me? I was so nervous for my phone interview. I was convinced that they would say I’m not Jewish enough. However, that wasn’t the case: I was placed on a trip with Israel Outdoors in December 2016. I was happily surprised that many on my trip felt the same way I did. There were others that had one Jewish and one Christian parent. There were also many that grew up in secular, non-traditional households. Relief washed over me that I was not considered an imposter and I felt free to explore this new side of me. Birthright was the first time I celebrated Shabbat. As an excuse to put technology away and enjoy conversation with friends, it became my favorite tradition. I continued Shabbat dinners with my new Jewish community of fellow Birthright alumni when I returned to Los Angeles. What really struck me was how welcomed I felt by Israel and by the Jewish community in LA just because I had one Jewish parent. 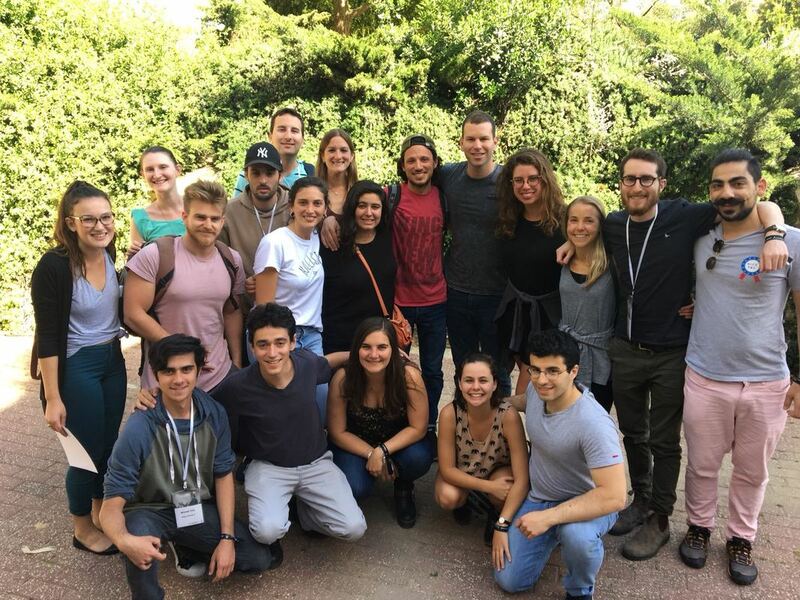 Although I still didn’t know what my Jewish identity was, the warm embrace from the community encouraged me to return to Israel on a Masa program. Argentina, Australia, Brazil, Chile, England, France, Germany, Israel, Russia, and, of course, the US were all represented. On the fourth day, a discussion about Jewishness arose. The day before, many delegates at the Summit went on trips where they spoke with Orthodox Jews in Jerusalem and settlers in Hebron with more extreme opinions of Jewishness. They heard, “you’re not a real Jew if only your father is Jewish” or “you’re not Jewish unless you are Orthodox and practice the most strict traditions.” In addition, one of our fellow delegates mentioned that the Jewish community he grew up in believes that Jews should be a closed group that does not accept converts. These exclusions upset many of the delegates. One that hit close to home was arguments over matrilineal versus patrilineal descent. On many occasions, when I have told other Jews that my mom is Jewish and my dad is Christian, they respond, “well at least you’re a real Jew because your mom is Jewish.” However, there were many delegates at the conference who are much more culturally and religiously Jewish than I am, even though they are only ethnically Jewish on their dad’s side. One woman expressed her frustration about this. She is Jewish only on her dad’s side, so many times she has been attacked for not being a “real Jew.” She felt like she had to prove her Jewishness growing up, so she immersed herself in Hillel and other Jewish organizations in college. She believes that, in order to be considered Jewish, people should have to prove themselves through equal measures. I felt instantly defensive, as if she was trying to take my Jewishness away from me. Because I was not apart of the Jewish community growing up, does that make me unworthy of being Jewish? I have come to cherish the Jewish community and traditions I have developed over the last year. That is when I realized that I now have a Jewish identity, and it is expanding with each new experience. It is clear that every person has their own idea of what it means to be Jewish. I’m still figuring that out for myself, but I know my Jewish identity is not one of exclusion. I want to see a Jewish community that makes all feel as welcome as I have felt. I am grateful to Birthright and Masa for setting this precedent of inclusion.